Fondue is one of our favorite ‘date night’ recipes! We used to only have it at restaurants until a friend of mine loaned us her fondue pot and we found out how easy it is to make at home! (We also discovered it can be made using a double boiler as well!) 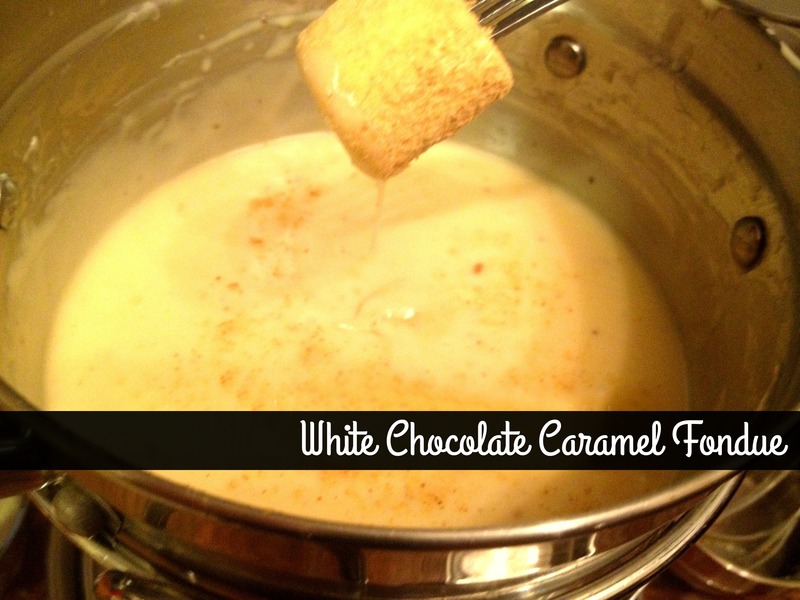 This is our FAVORITE chocolate fondue recipe! You can serve it with bites of brownies, cheesecake, graham cracker or oreo dusted marshmallows, strawberries, angel food cake, pound cake, etc…. Using an electric fondue pot or a double boiler, melt white chocolate chips and heavy whipping cream, stirring until smooth. Stir in caramel syrup and caramel liqueur. Keep warm, stirring occasionally and serve with your favorite dippers!